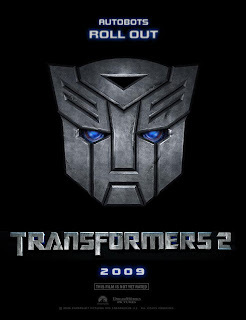 The latest installment of the Transformers movie franchise entitled Transformers 2: Revenge of the Fallen is a mix of CG eye candy, Megan Fox and anything else. I know a lot of you guys think that this movie is a "bomb". It's a bomb alright, litterally. Heck the whole movie is splattered with explosions every now and then. Even scenes which doesn't require explosions will have one! If you remove all the "explosive" scenes I think the movie will run in an hour and a half. But I guess it IS a Michael Bay film after all. The problem of the film lies in the character development of its cast. Unlike its prequel, this movie revolves around Sam, Optimus and Bumble Bee only, and the rest are really just a supporting cast. Have you seen most of the Autobots or the Decepticons deliver an important plot-related dialogue? And, Jetfire, what the hell have they done to Jetfire?! Sorry no spoilers here so you better watch the movie. The master-padawan..err apprentice relationship has been a cliche this century and Transformers 2 is no exception and oh don't forget the hero complex plot you can find in most Japanese animes out there. These blemishes were compensated by one factor alone...Megan Fox! Come on admit it, she's HOT. Megan Fox walked, changed clothes, ran, jumped, you name it, Megan Fox delivered it intensly hot. These are just my opinion and posting a hate comment really makes you an effin' idiot, a troll and a loser rolled up into one.